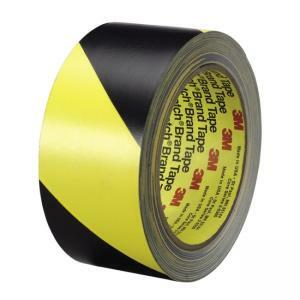 Safety stripe tape features a diagonal stripe, 5.4 mil (0.14 mm), and vinyl backing with rubber adhesive. Highly conformable and resistant to most common solvents. The design of clear vinyl over colored stripes provides excellent abrasion resistance to the tapes stripped pattern.